Developed by Eye Interactive, Stop Those Fish is a universal iOS title that was financed by KickStarter and features challenging and addictive trajectory-based gameplay. 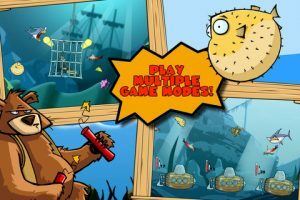 Stop the Fish puts you in command of three bears in boats, under attack from an undersea army of angry fish. Armed only with dynamite and quick reflexes, it’s your job to hold the finned aggressors at bay. 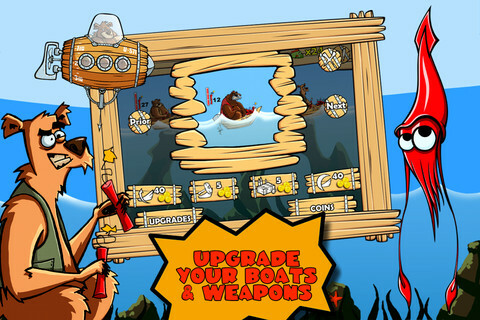 Defend your boats from the attacking fish by throwing dynamite into the water. Simply tap on a bear, and draw a line with your finger towards the target, then release to throw your dynamite. Combo attacks earn coins, which can eventually be spent on upgrading your boats or on new weapons. Scoring combo attacks enables a special move called “super strike”, which takes out all fish at once. At the end of each round you can visit the armory, where you can repair any damage to your boats and reload your ammunition. Earning extra coins through combos is really important – if you don’t make enough at the end of a round, it means you go into the next one with low health and ammo, making you more vulnerable. If you lose all three of your boats, it’s game over. Stop those Fish features three game modes, over 50 unique levels and more than a dozen different enemy fish to ward off. 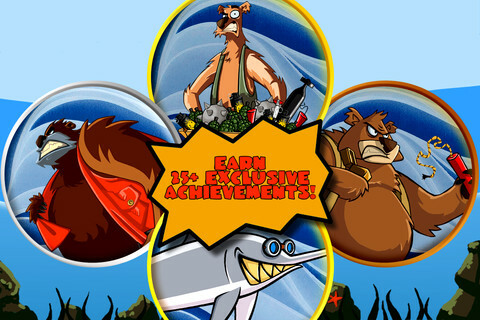 GameCenter integration builds leaderboards and achievements right into the main menu. 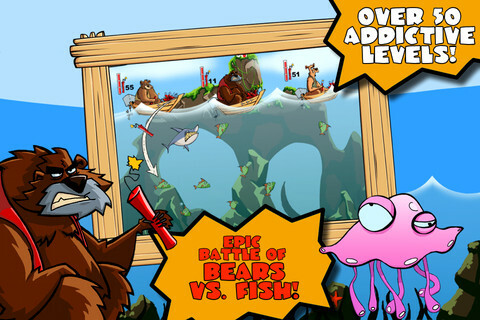 Bottom Line: Solid graphics, a fun soundtrack and challenging gameplay make Stop the Fish a highly enjoyable title. 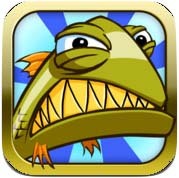 Stop those Fish is compatible with iPhone, iPod touch, and iPad. Requires iOS 3.0 or later. A small expedite fee was paid by the developer to speed up the publication of this review.